400mm of continuous tie downs. 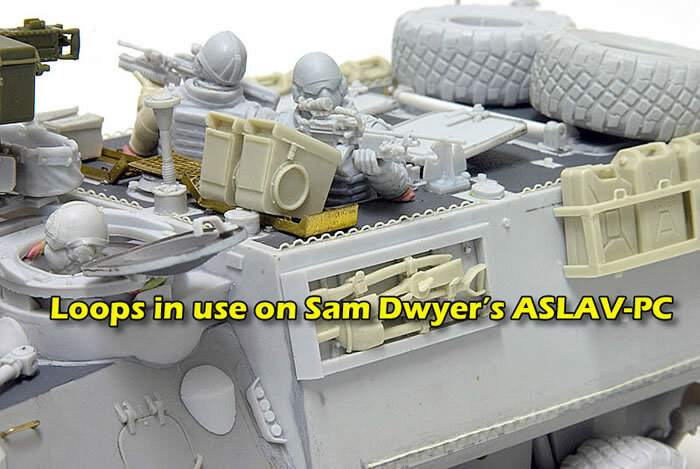 New from Arms Corps Models of Australia is a set of 1/35 scale resin tie downs for modern AFV’s. The set comprises 400mm (15-3/4”) of continuous tie downs, or footman’s loops are they are also known. The castings are packaged in 5 lengths of 80mm and are of very high quality. 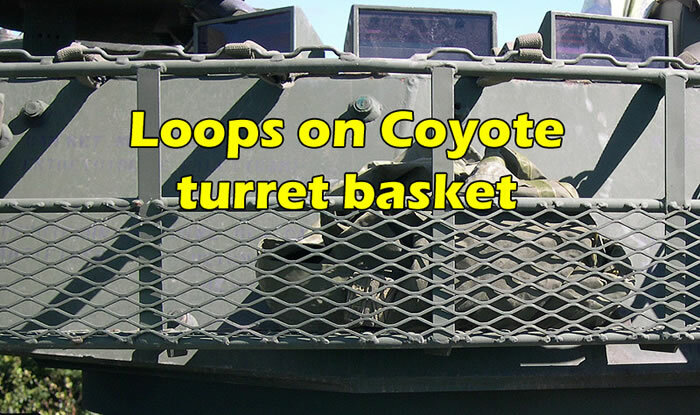 Oftentimes these loops are represented on AFV kits as solid rectangular bumps. It’s up the modeler to shave them off and replace them with stretched sprue or copper wire formed on a jig, or use flat photo etch items. 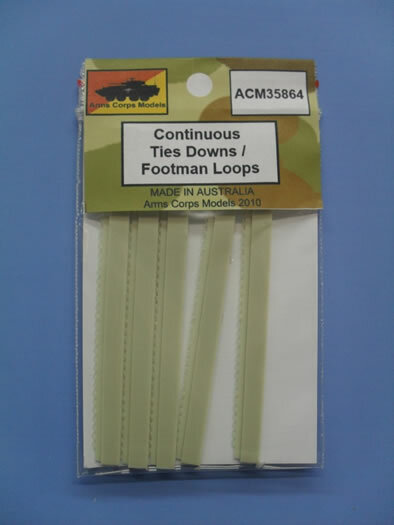 The Arms corps loops provide the rounded three-dimensional effect of a stretched sprue, and the consistency of a series of PE loops. 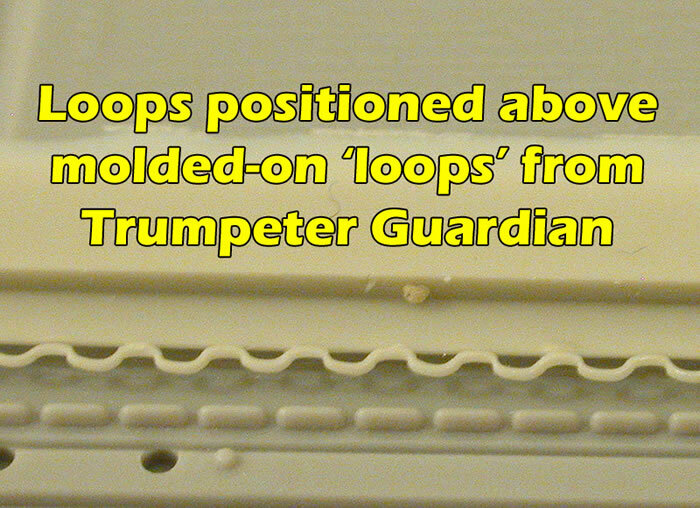 The loops are cast on a 2 stage block that protects them during shipping. 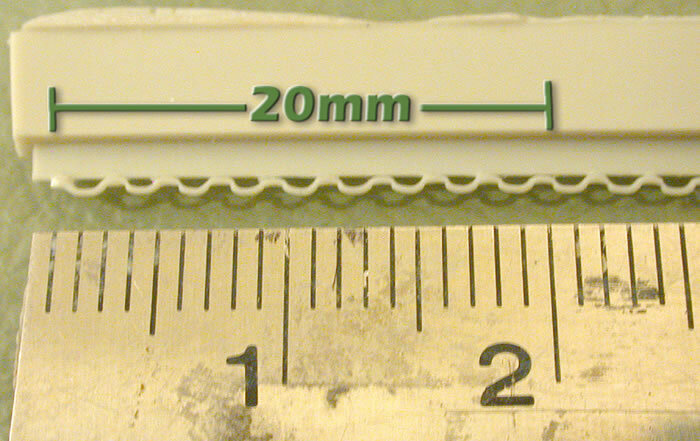 The first stage is a sturdy 2 x 4mm block which prevents the runs from warping, while the loops are attached to a second casting block (I hate to use the work block, as it is literally paper thin), making them easy to detach using a sharp #11 or a safety razor blade and attach using CA or Gator Glue. Mine arrived from Australia to Canada with not one loop damaged. What really impressed me though; is the complete absence of flash to clean out in the hollow section of the loop. I’m not even sure how that can be achieved using resin casting, but every single loop is flash free.